Apple is facing a class action lawsuit that accuses the company of failing to install vent filters in MacBooks and iMacs, leading to lower processor speeds and screen smudges from trapped dust, which result in expensive repairs for consumers. News of the lawsuit was published today by Hagens Berman, the firm handling the case. "Apple is the most valuable company in the world today because consumers trust it to make reliable, quality products, yet it has failed to remedy one of the most simple and well-known problems in the technology community - the accumulation of dust," said Steve Berman, managing partner and co-founder of Hagens Berman. "This filter defect is costing Apple owners hundreds of dollars in repairs, and Apple refuses to take responsibility." "We intend to hold Apple accountable for this costly defect affecting millions of its computers," Berman added. 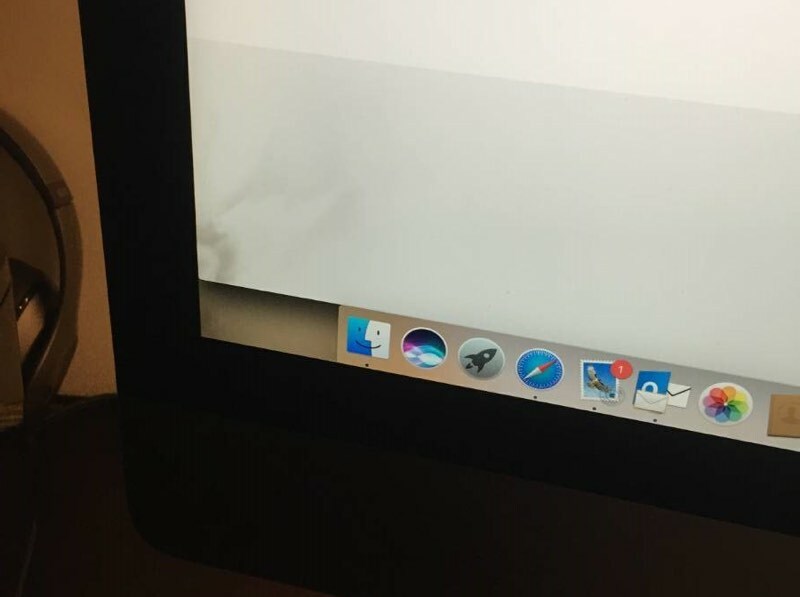 According to the lawsuit, some iMac, iMac Pro, MacBook Pro, MacBook, and MacBook Air users have experienced dark smudges and spots on the interior of the screens of their computers as well as excessive slowness due to heating issues because of the lack of a filter in these devices. The computer intakes air to cool its components, but with no filter, dust gets trapped inside. This affects the screen and logic board of the computer, leading to dust stuck behind the screen and gummed up motherboards, causing the computer to run slow and/or overheat. Dust accumulating from the air allegedly impacts the screen and the motherboard, causing spots on the display and heat regulation issues. Hagens Berman says that Apple has been charging customers with machines out of warranty upwards of $600 to fix these problems. The lawsuit says iMac and MacBook models from 2013 to 2018 are affected. Several plaintiffs are named in the lawsuit, including a photographer who was plagued by dark spots on her Mac's display, a user who had smudges on his iMac who was required to pay $600 for a replacement after five months, and a third iMac owner who saw dark smudges soon after making a purchase and subsequently had his display and motherboard replaced multiple times, leading to high repair bills. The class action lawsuit is seeking monetary compensation for Mac owners, including compensation for screens that "did not perform as advertised," reimbursement for out-of-pocket repair costs, and compensation for those who sold their computers at a loss due to dark smudges on the display or poor performance. Interesting. I haven't noticed this on any of my MBPs over the years. I should note, though: it doesn't matter how many of us chime in about not having had this problem. That doesn't invalidate the experience of those that have. It does beg the question though of why some people get it and others don't. ironically they need a dust gate. Is Apple double majoring in college? Because they seem to be attending a lot of classes. Maybe, if this is a problem, that the people making this claim needed to keep their work area cleaner in the first place? I live next to a dirt road and my Mac is being affected by it. I'm not responsible for what I may or may not do, so what are you going to do about it? In my opinion it‘s Apples fault to ship a laminated screen that isn‘t sealed off good enough to keep dust out. Dust in the casing is one thing but big waves of dust in between glass and laminated display is another. Talking iMac here. Easy solution for Apple, just fix them for free. Perhaps these people need to stop smoking. I can't think of any laptop that has dust filters to be honest. Desktops yes but not laptops. But usually laptops are able to be easily opened and de-dusted (sic) without voiding warranty. My 2015 is over 3 years old and not a single smudge from dust collection.